I’m back with the second installment of Weeknight Winner Wednesdays! This edition features a high-fiber, flavourful meatless chili that you can have on the table in about two shakes (that’s twenty minutes) with one simple make-ahead ingredient. No sweating over a simmering pot for hours. 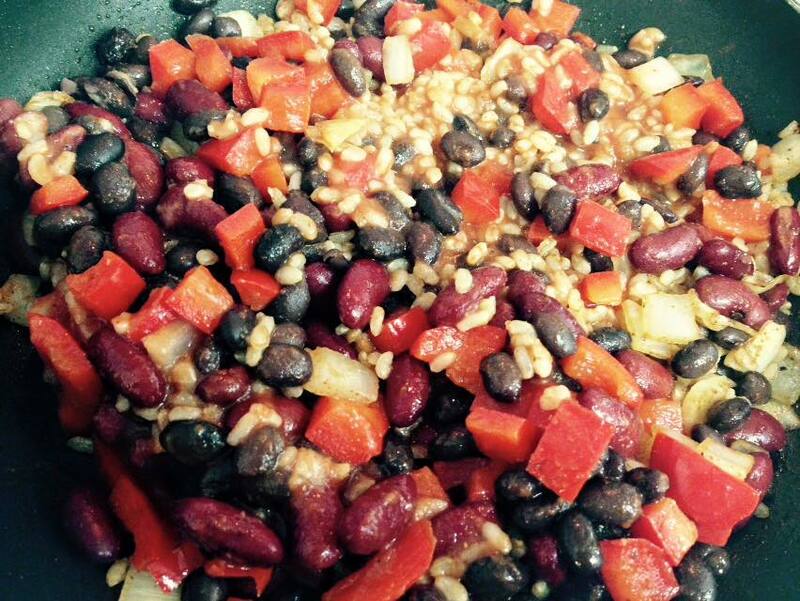 And with high-fiber beans stealing the show, no one will miss the meat in this vegetarian, low-fat chili. YOU control the heat, so you can make this just as hot (or not) as you like. 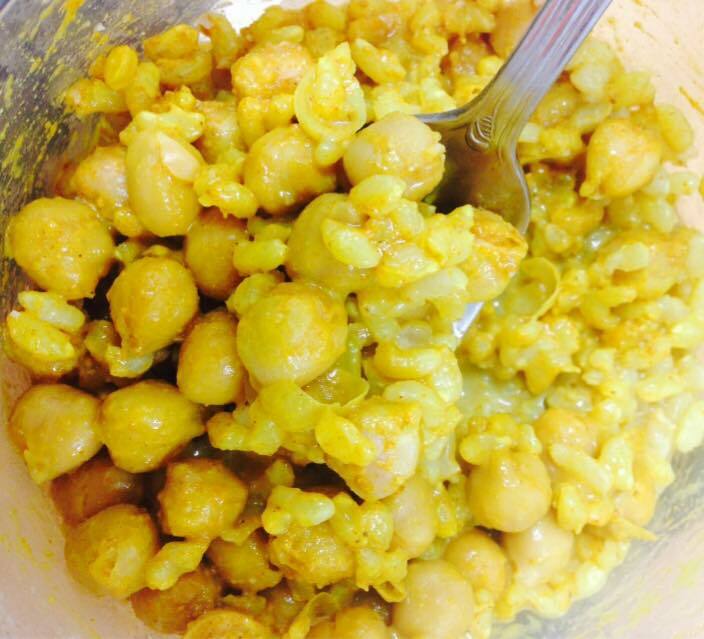 This is another nutritious and delicious dish you (and your family) are sure to love. Since I’m sure you’ve been following my Healthy Meal-Prepping Tips, I just know you have a pot of cooked brown rice on hand already, right? If not, you can still prepare this dish in the time it takes to cook a pot of regular brown rice (add the cooked brown rice at the very end) OR you can take advantage of the new “instant” brown rice options for the microwave, which should be ready at roughly the time you’d be looking to put it into the pan anyway. 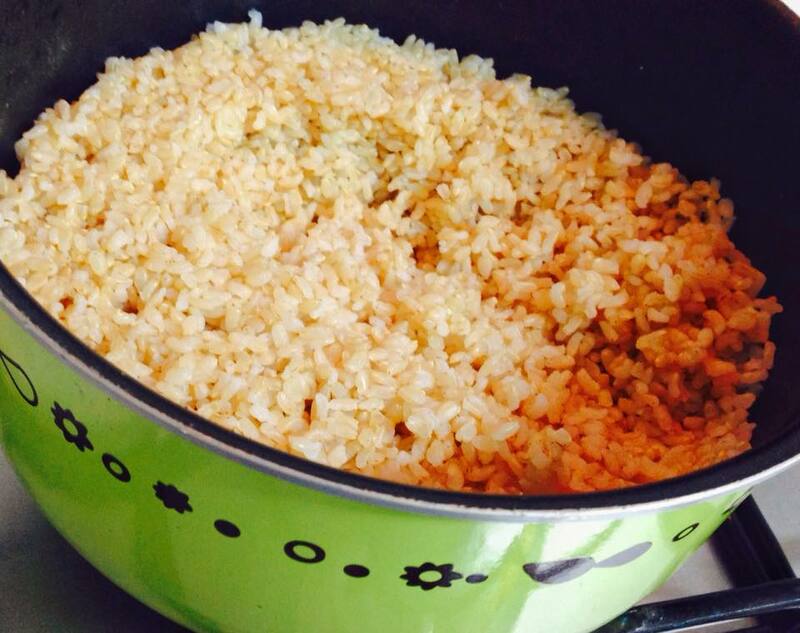 I also cook a large pot of brown rice each week for easy weeknight meal preparation. And of course we all know that I’m not above using canned goods in the name of efficiency in the kitchen – just be sure to rinse thoroughly and drain to remove added sodium/preservatives. 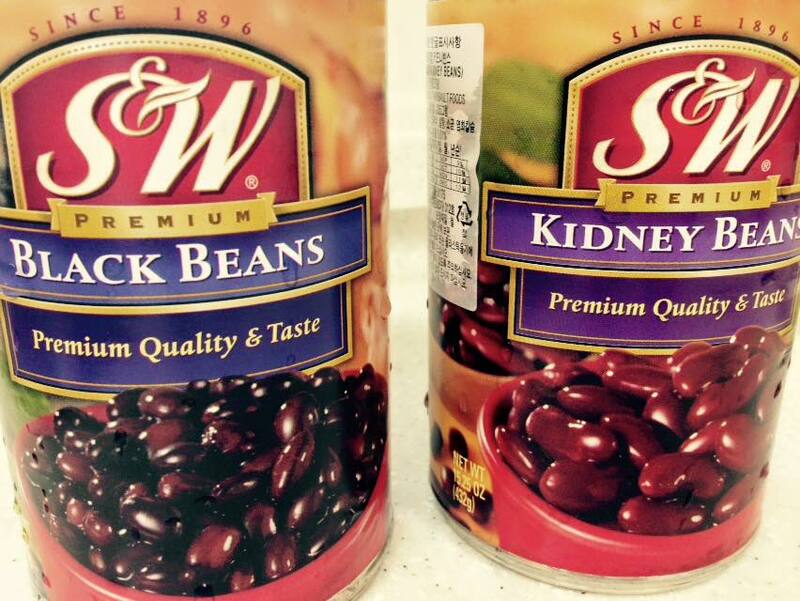 Canned beans bring flavour and fiber to fill you up in the meatless chili. So, all the work that’s left is to chop a couple vegetables (heck, maybe you did that already, too – you keener!). You might just have to throw a few handfuls of flour onto your apron and your cheeks to make it look like you’ve been slaving away in the kitchen (does anyone else remember that ad for Rice Krispie squares? Not that they actually have any flour in them, and neither does this gluten-free recipe!). This high-fiber, flavourful meatless chili gets its protein from beans and your regular spicy chili seasonings AND you can have it on the table in under twenty minutes! 1. 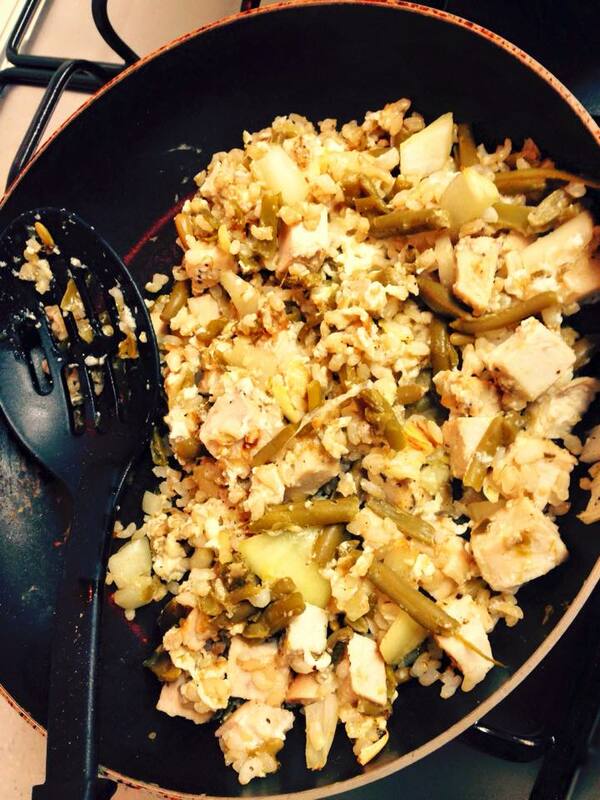 Heat the oil in a large non-stick pan or skillet over medium heat. 2. Add the chopped onion and cook until the onion is translucent (approximately 3-5 minutes). 3. 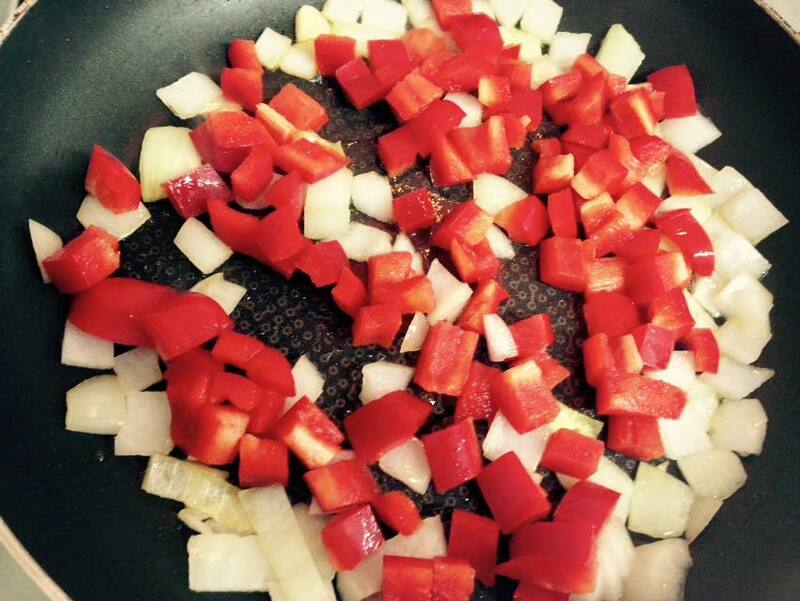 Add the chopped bell peppers and continue cooking until the peppers begin to soften. 4. 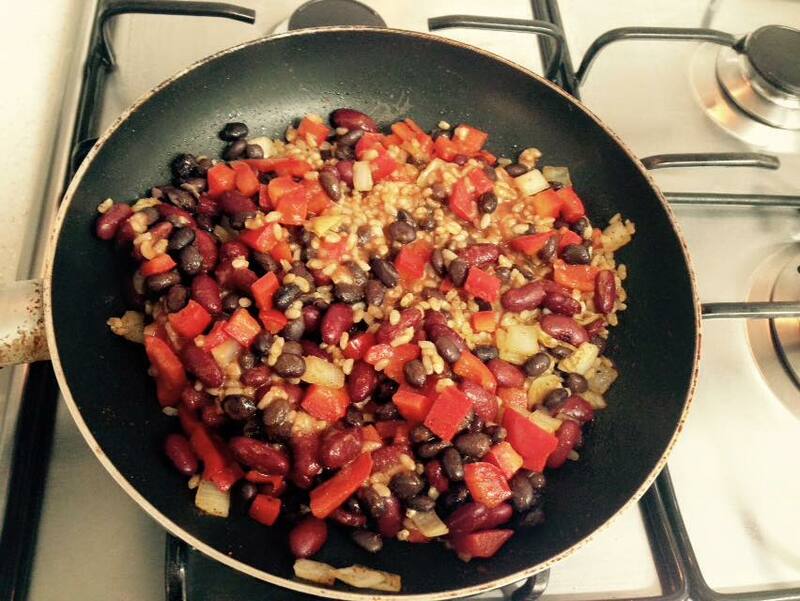 Add the brown rice, rinsed beans, tomato sauce and spices and seasonings and heat through. 5. Sample and add additional seasonings to taste. Enjoy immediately. The comforting spices will warm you up on even the coldest of days without you having to break a sweat in the kitchen. Options are to add/remove veggies to suit your family’s tastes. 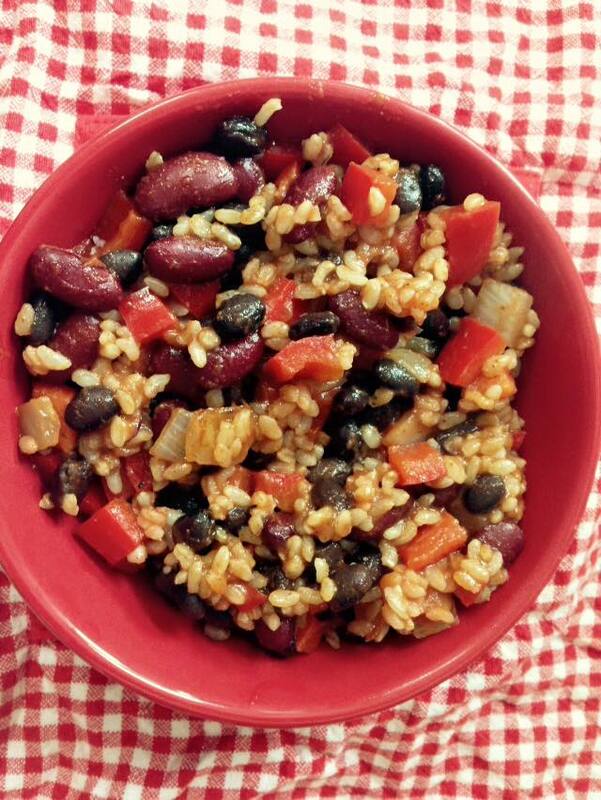 You can also omit the rice and substitute more beans to make this a grain-free meal. Leftovers (if there are any!) are great for lunch! 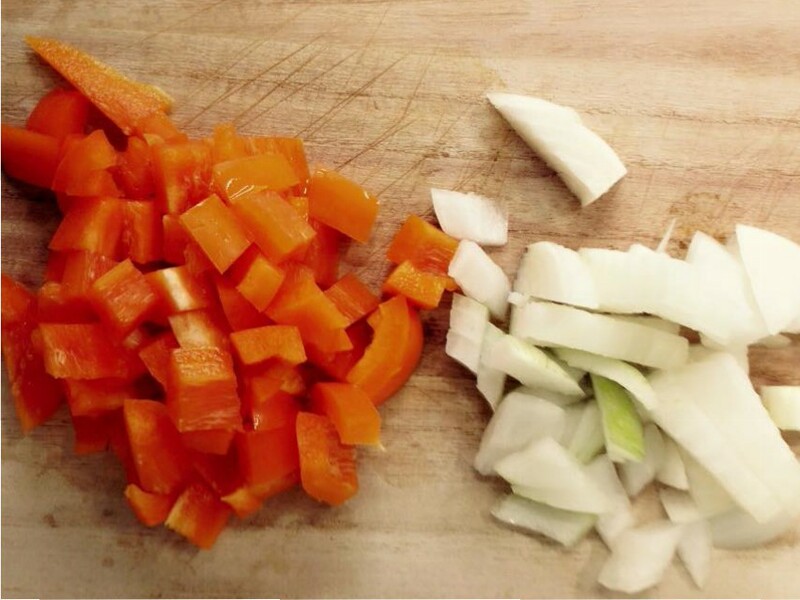 Chopped orange bell pepper and white onion. 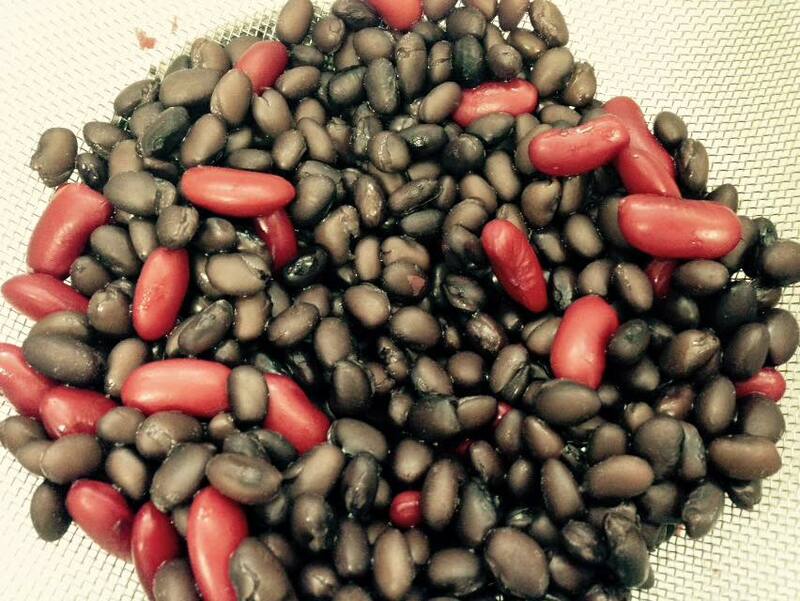 Rinse canned beans thoroughly to remove added sodium. 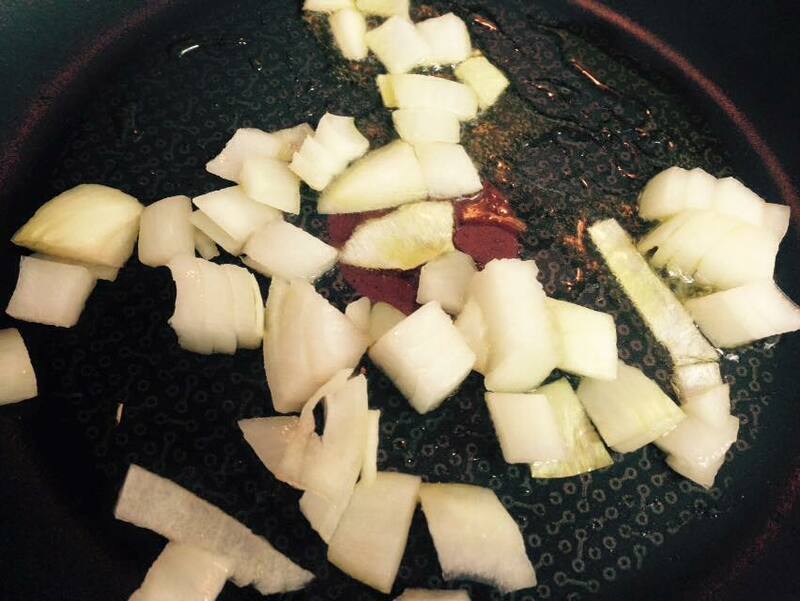 Saute the onions in olive oil until they are translucent. 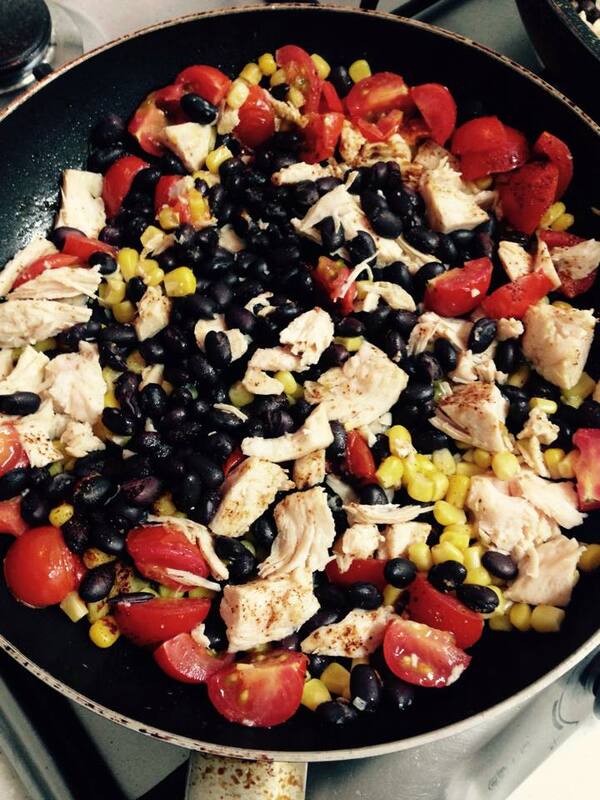 Add the chopped bell peppers and continue cooking until the peppers soften. 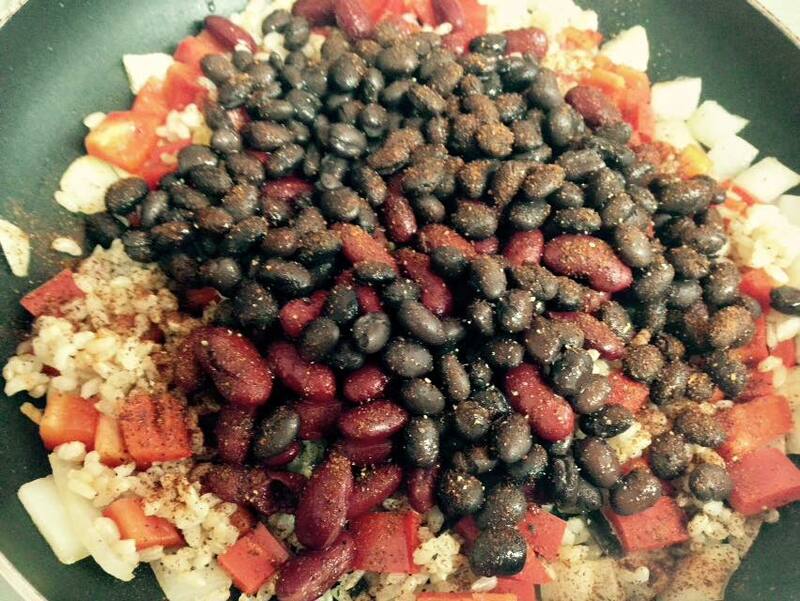 Add the rice, beans, tomato sauce and seasonings all at once and cook until heated through. Sample and adjust seasonings to your taste. Thanks, geminibec! I hope you try it and like it. If you do, please snap a quick pic and tag it on Instagram #thegoldengrahamgirl so I can see your beautiful creation. 🙂 Cheers! I certainly will!! Please follow me on Peace.Love.Veggies which will be expanding into a vegan travel blog!